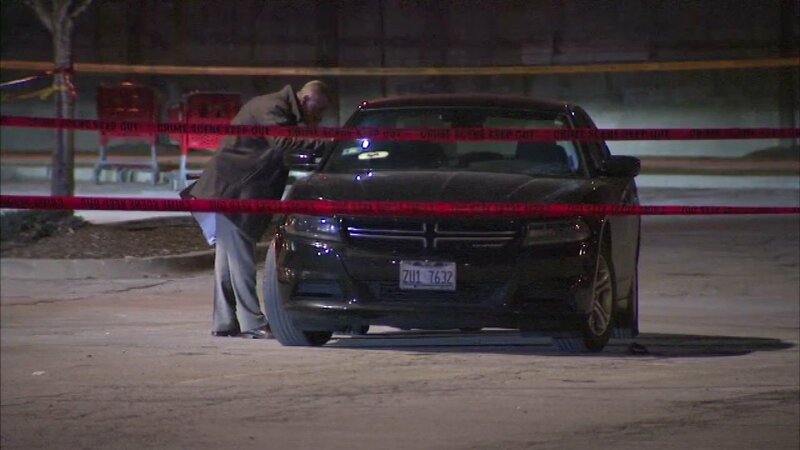 CHICAGO (WLS) -- A 21-year-old man was shot and killed Thursday night in a Target parking lot on Chicago's Southwest Side. He walked up to a 2014 Nissan Altima parked in the 1900-block of West 33rd Street in the city's McKinley Park neighborhood and started talking to the person inside around 8 p.m., police said. Moments later, witnesses told police they heard gunfire. The 21-year-old man suffered gunshot wounds to his back and chest. He was transported in critical condition to Stroger Hospital, where he later died. He has not been identified. The shooter drove away, heading south on Damen Avenue, police said. Officers who were radioed a description of the vehicle pulled over the driver a short time later. The 27-year-old man was taken into custody and two weapons were recovered. Police said that the 27-year-old man was released without charges. The Chicago Tribune reports the shooting started out as an armed robbery attempt. The man who was shot reportedly had a gun when he walked up to the vehicle and tried to rob the older man, who the newspaper said is a concealed carry license holder. The 27-year-old man reportedly fired his semi-automatic weapon - one of the two weapons later found in the vehicle, along with expended shell casings - after a struggle in the car. He was reportedly returning to the scene when officers stopped him in the 3300-block of South Damen. Area Central detectives are handling the investigation. "At Target, our guests are at the center of everything we do and our commitment to creating a safe and secure shopping environment in our stores is unwavering. As part of this commitment to safety, we have robust procedures, policies and trainings in place to ensure that our stores are safe places to shop and work. Law enforcement was contacted after a shooting tonight in our parking lot and we'll assist them in whatever way we can. Please reach out to law enforcement if you have additional questions."